On the 9th of January, 2,000 Finnish citizens received 560 euros to their bank accounts, the first batch of the basic income paid to them as part of the 2-year-long pilot study of the Finnish basic income experiment. The main goal, set out by the right-wing government that provides the funding for the experiment, is to study employment incentives. What the results may end up being used for might not be a basic income at all, but something only vaguely similar. The parliament of Finland approved the basic income (BI) experiment in December 2016. This was not a given. During the last parliamentary elections, the experiment was part of the campaign programme of the Centre Party of Finland, which won the elections. The trial has had support both from within government and from the opposition, but there were legal difficulties. In a different form (if it would have left some citizens in a worse situation than others) the experiment might have been found to be against the Finnish constitution. What made it easier for the BI experiment law to pass was that it was designed in a way where anyone participating would not be left off worse than their peers. The monthly 560 euros is non-taxable. Participants also get to keep the full amount even if they find a job. Professor Olli Kangas has himself called the money “manna from heaven”. He oversees the project at Kela, the Finnish social security institution that settles most social benefits and is in charge of the experiment. The other option would have been to have people volunteer for the experiment. This would have muddied the results as only people expecting to benefit from the BI would take part; the results would have been overly optimistic. Researchers call this basic income unconditional because participants get to keep it whether or not they apply for a job and get it. They also call it partial because it is not high enough for sustenance – and it is often possible (and in my view necessary) to apply for housing allowance on top of the BI. In the pilot study, BI is only being paid to a small pilot population of unemployed people. To be eligible one needed to be on the books as a job-seeker in November, when the ‘basic income lottery’ was held. While this included some people working part-time or on zero hour contracts, students, people under 25, or pensioners were not included. Since the test group is very selective, it can be argued that the experiment does not adhere to the old Nordic value of universalism in welfare services and benefits – nor its extension into the idea of a basic income that frees individuals to pursue their own goals. Those eligible people that do not get accepted into the basic income experiment will become the comparison group. For example, if the basic-incomers turn out to be better employed than the comparison group at the end of the experiment, the experiment will be considered a success. The model has been criticised even by BI proponents. BIEN Finland (which is part of the Basic Income Earth Network) has invested a lot of hope in such an experiment. Having failed to get enough names in their basic income citizens’ initiative in 2013, they now trust that discussion around basic income will grow before the 2019 parliamentary elections. They also expect the different parties to clarify their views on BI before that. A report (in Finnish) by researcher Johanna Perkiö for Kela stated that basic income or something equivalent has at different points been endorsed by pretty much all of the Finnish political parties. Yet, the current strong supporters –the Green League (Greens) and the Left Alliance (Left) – complained that the experiment was lacking and far from an actual basic income. “Basic income threatens to be missing from the basic income experiment”, noted for example Anna Kontula, a Left Alliance member in parliament. In her view, the experiment only tries out unconditionality of the basic level of the Finnish unemployment benefit. Neither of the parties is against the experiment. Yet, one of their big concerns is the absence of the scenario of taxation reform in the experiment. Many basic income models either include new forms of tax revenue, like new taxes on environmental harm or land-use, and potentially – as both the Greens’ and the Left’s models – higher levels of taxation for those earning more. For example, the Finnish Greens’ basic income model has been planned to be ‘cost-neutral’ for the state. Even though everybody would get a 560 euro monthly BI, the Greens would also raise income taxes. The tax level should be such that a) there is pretty much no change in the disposable income of middle-class people, and b) tax revenue for the state stays pretty much the same. In practice, the higher tax level would ‘tax away’ the basic income from those that do not need it. This would also make BI more economically viable and, in many people’s view, more fair (as it does not sound tempting to have new money transfers to rich people). But this tax improvement mechanism is lacking from this experiment. In it, BI is not taxed and participants pay the same wage taxes as other Finns. Besides the Greens and the Left Alliance, many NGOs and experts have also criticised this aspect. The experimental BI replaces some basic benefits, such as the unemployment benefit (whost maximum level it has been designed to match), but if the participants find a job they may keep both the 560 euro BI and their newly earned wages. In contrast, non-participants lose their benefits bit by bit as they earn more. A basic income that is not ‘taxed away’ at higher income levels would cost somewhere around 10 to 15 billion euros per year more than the current social welfare, if applied for the whole of Finland. This is why it is not being viewed as a realistic basic income model, a point the researchers have noted. The main thing to be measured in the experiment therefore is employment. While other things are also of interest, further studies will be based on other register data (which are created as a by-product of Finnish governance and services). These data can be linked to the ‘basic income register’ after the experiment has ended, to gain information on, for example, the health effects of the basic income. A big benefit of basic income might be seen in people’s subjective well-being and, for example, in their possibilities to plan for their future. Yet, those managing this experiment are not planning to include any surveys on health or mental well-being, amongst other things. The project has gone so far as to ask the press not to interview participants in order to not bias their expectations and behaviour during the experiment. Even a ‘zero result’ – i.e. no difference between BI recipients and the control group – could be seen as a win for BI proponents as some critics of BI argue that ‘free money’ would make people lazy. If there is no difference between BI recipients and other unemployed, it would show that looser support does not weaken incentives to find employment. In the end, the experiment is mainly limited to show whether chronically unemployed people react to large changes in their incentives. It will show whether they find employment and if their well-being is improved in some very clear sense by not having to face bureaucracy or lose benefits when taking on work. The resulting data can also be used in building better simulations of people’s reactions to changes in the social system or the tax code. While the experiment provides new information for politicians and researchers on how people react to changes in the social system, there is no guarantee that this is a step towards the full implementation of basic income in Finland. The experiment is only one part of the current conservative government’s plan to reform unemployment benefits. And it is just one of many studies and reforms in their bigger project. For example, changes to the tax laws for 2018 and a plan for a new income register in 2019 have taken up the tax authority’s resources. This probably due in part to the lack of tax changes in the BI experiment, as researchers have cited lack of cooperation from the tax authority as a problem. Also, another research project funded by the government looked into a participation income (as proposed by late Anthony Atkinson). A participation income would mean higher benefits for those long-term unemployed who take part in voluntary work or other agreed-upon activities. 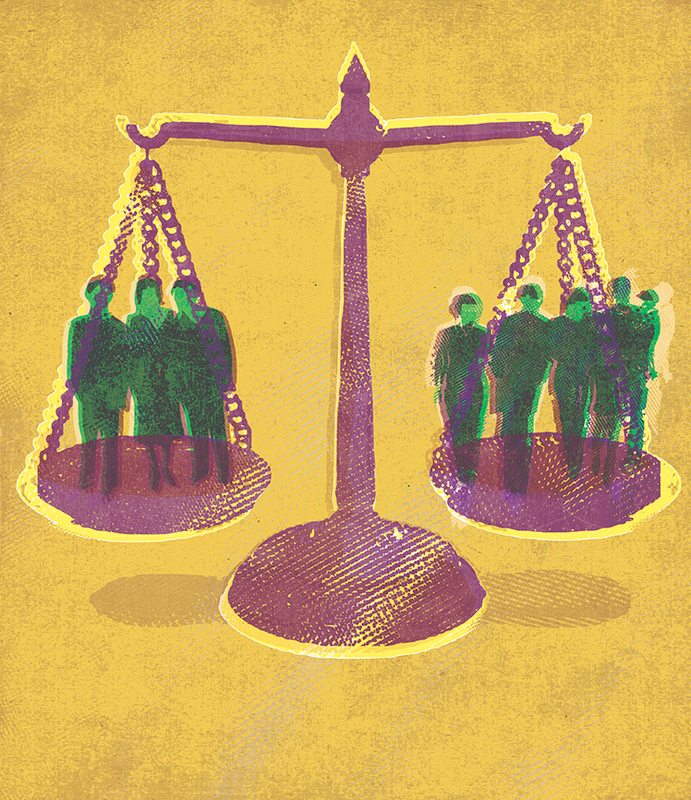 While a participation income might broaden the range of acceptable behaviour for the unemployed, it would still hold employment as the main goal and possibly allow for even more sanctioning of those not following ‘the rules’ – contrary to the unconditional basic income, which is supposed to free them. The new national income register planned by the government and supported by the opposition parties would collect every citizen’s wage earnings, sick days, and similar information into a single register. This register would be available to all authorities in need of these information with a lag of only around 5 days. Similarly to a basic income, this could facilitate calculating and paying out many benefits automatically without people having to apply for them or having to fill out any forms. For example, the Minister of Local Government and Public Reforms Anu Vehviläinen (Centre Party) pondered last spring if it would have been wiser to run the basic income experiment only after there already is an income register in place. Then the BI experiment could have been done without a separate ‘platform’ where the participants information is collected and which is used to pay out the basic income. In the national income register, the employers would have an obligation to inform the tax authority of their employees’ wages. The lobbyists for business interests have opposed the register, since it would add some obligations for the companies. According to them, about a fifth of employers do not currently have all the needed information in computerised form. While the big problem with the “manna from heaven” model of the experiment is its high price and lack of accompanying changes in taxation, many ‘normal’ basic income models suffer from high marginal tax rates. The marginal tax rate is the amount taxed on the last euro earned. It is not well known how people react to higher marginal taxes – whether they, for example, would work fewer hours. Many basic income models which claim to be cost-neutral – such as the model of the Finnish Greens – are cost-neutral only thanks to the tax-increase for the middle and upper income brackets. Thus, the experiment, which does not include tax changes, does not answer an important critique of BI, such as not knowing how people would react to these higher taxes. Even when they would get the same amount of money monthly (thanks to the BI and higher taxes cancelling each other out), would they cut down on their working hours (because they earn less per hour worked)? Note: working less might even be a wanted feature of BI, if we want people to have more free-time and share more work. The researchers at Kela have calculated that a 550 euro basic income could be made cost-neutral with a 43,5 per cent flat tax. A model based on the income register could bypass this problem and keep the tax rates more clearly as a separate issue, since a personal tax percentage could be calculated for each individual even monthly or weekly and the ‘basic income’ could be paid to only people earning less than a set amount. Yet many might describe such a model rather with the words ‘negative income tax’ than ‘universal basic income’, as people earning too little would pay ‘negative tax’ and get a money transfer from the state. Even while the income register does not in itself mean the same benefits to all, it opens new pathways towards a basic income. Compared to the current system, simpler and fairer benefit models could be built on top of it. There would be less need to control the unemployed. According to Olli Kangas, basic income might mean reducing hundreds of jobs from Kela (the government agency in charge of settling benefits). The income register would similarly allow for the automated paying out of benefits. There was a tight timeframe for planning the model, preparing for the experiment, and approving the law during 2016. This had to be done before the start of 2017. This was also one of the main reasons cited for the lack of tax code changes in the experiment. Professor Kangas has a habit of shooting down questions regarding, for example, the taxation in the experiment with it “depending on the politicians”. The researchers would have preferred to have a higher number of participants in the experiment, and even to test out different levels of basic income and different tax models. They also would have wanted to test BI’s benefits to a single, smaller-scale locality where a high number (or all) of the people would have been recipients. As opposed to the experiment, an actual implementation of basic income would have effects on the whole surrounding society. For example, The Research Institute of the Finnish Economy (Etla) expressed claimed that the increase in labour supply following from a basic income might also lead to higher readiness in companies to open new positions. As the experiment only affects a small group, this will not happen. The conglomerate of researchers spearheading Kela’s research division would have wanted to include 10,000 people with lower incomes instead of the 2,000 unemployed they could include in the end. Even though they can use the benefits the people would have gotten if they did not get the basic income, the 20-million-euro budget does not stretch to pay out more months of basic income. Greens have demanded more funding to enlarge the experiment. The experiment today does not include many of those who would benefit the most from a basic income. People who have uncertain income such as artists, freelancers, and people in otherwise precarious situations, would have more security when they would be certain to get at least the basic income every month. In a recent blog, Kangas and social policy professor Heikki Hiilamo, who ran the participation income research project, mentioned “plans to introduce a new experiment in 2018 with a wider treatment group consisting of self-employed, free-lancers, small-scale entrepreneurs, and other small-income receivers”. A negative income tax experiment could follow this larger basic income experiment in 2019 (when the income register is available). But – following Kangas’ earlier remarks – what happens to the second phase “depends on the politicians”. The Finnish basic income experiment is far from perfect but it is certainly not without merit. Greens have embraced the experiment without being blind to its problems: they have rejected (and will reject) the conservatives’ cuts to benefits, encroaching means-testing, and destruction of education opportunities. Even so, we should do what we can to grab the opportunity of a larger basic income experiment and the income register to further our ideal of an unconditional and emancipatory basic income for all. This is an updated version of the writer’s Finnish-language article produced by the Finnish Green Foundation Visio in cooperation with Rapport, a crowd-funding service for journalists. In Malta, Universal Basic Income could offer an answer to the uncertainty posed by the increasing automation of jobs.